Caltech’s Public Events presents a great evening of Latin dance music, featuring Cuban-born Adonis Puentes and his Voice of Cuba Orchestra. Adonis and his fraternal twin, Alex (now known as Alex Cuba) were born in Artemisa, a faded colonial city southwest of Havana in 1974. They both later left Cuba for Canada and went their separate ways. Each has gained considerable fame in the Latin music world. 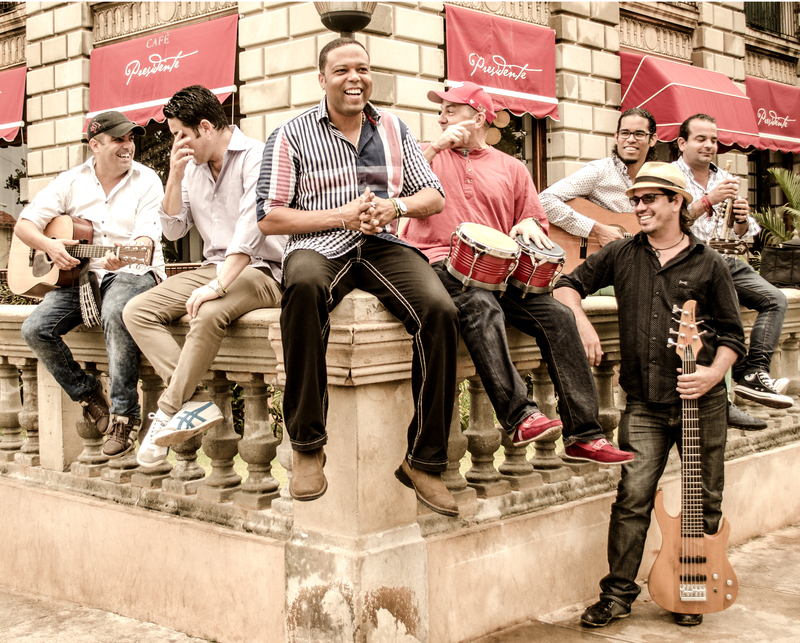 Adonis calls his music “fusion with Cuban roots”. Known as a soñero, Adonis sings ballads backed by the mix of Spanish guitars with African rhythms peculiar to Cuba. His album, Sabor a Café was nominated as World Music Album Of The Year at the 2014 Canadian Juno Awards (the Canadian Grammies). The recording consists of Adonis’ original compositions, and is notable for its sparkling production and dance-happy, horn-heavy songs. The music is a rhythmic, modern interpretation of son, a traditional Cuban style combining elements of Spanish and African music. Join us for this great show in Beckman Auditorium (Big Beckman)! Ticket prices are $42, $37, $32; $10 youth; Caltech/JPL discounts available. Mention the Pasadena Folk Music Society when you order the tickets in advance or buy them at the door, and you’ll received a $5 discount. Call the Caltech Ticket Office at (626) 395-4652 and visit their web page for more information about the show. The Pasadena Folk Music Society is a marketing partner for this show and we wholly endorse it!